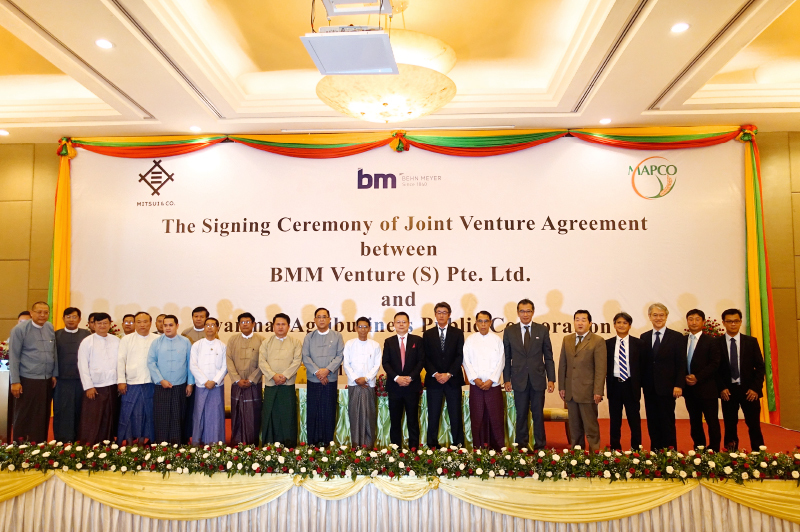 BMM Venture and MAPCO Sign A Joint Venture Agreement to Form Agri First Co., Ltd.
BMM Venture (a joint venture unit of Behn Meyer AgriCare and Mitsui) and Myanmar Agribusiness Public Corporation (MAPCO) signed an agreement on 7th April 2016 in Nay Pyi Taw, the capital of Myanmar, to officially establish a new joint venture named Agri First Co., Ltd (AFC). 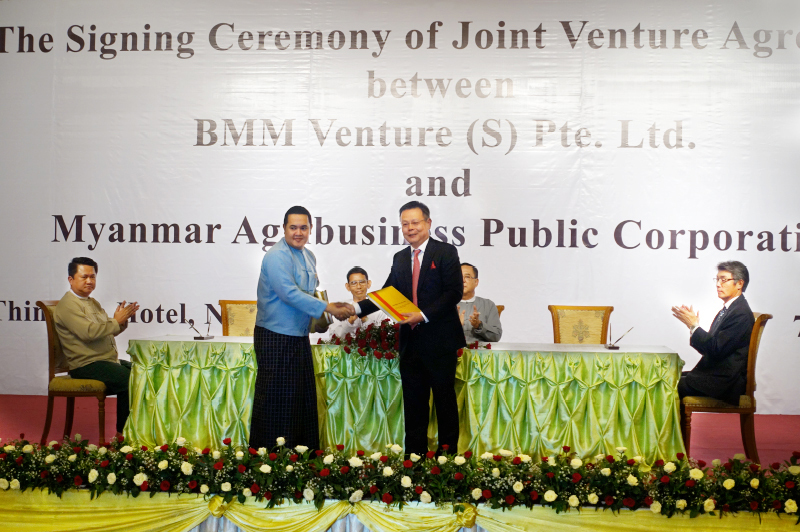 The newly appointed Minister for Agriculture, Livestock and Irrigation, Dr. Aung Thu was present to witness the signing and made an opening speech at the signing ceremony. The Chairman of MAPCO, Mr. Chit Khine, was also present at the ceremony together with Mr. Ye Min Aung, Managing Director of MAPCO, and various other senior Mitsui executives from Japan, Singapore and Myanmar. AFC’s immediate plan is to construct a fertilizer plant on a 3.5 hectares site at the Thilawa Special Economic Zone to carry out the business of re-packing, NPK bulk blending and eventually NPK granulation. AFC envisages that the construction of the fertilizer plant will be ready by the middle of 2017. The three ultimate joint venture partners, namely Behn Meyer, Mitsui & MAPCO, will cooperate by contributing their own expertise and experience in order to make AFC a successful venture.